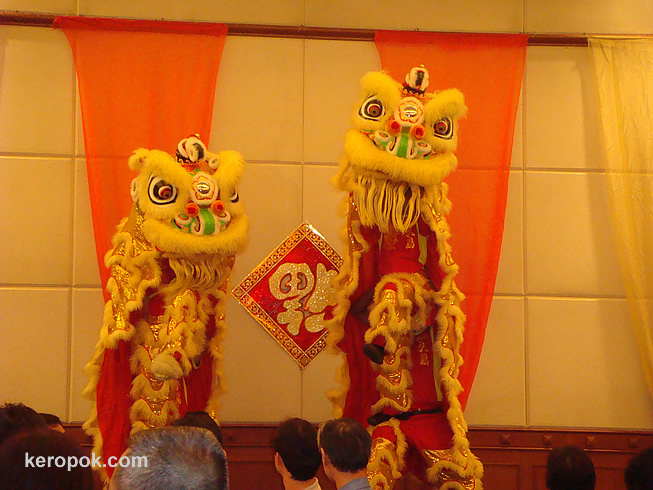 'Boring' Singapore City Photo: Lion Dance performed for us just before lunch. Oh, just look at them, each lion had 2 men performing. To get that high up, one person is standing on the other person's thigh. The person that has the guy standing on his thigh is also carry the other person. They must be really strong.